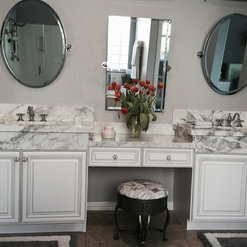 Hiring a qualified contractor to transform your kitchen and bathroom from concept to completion can sometimes be overwhelming with all of the choices available today. The dedicated and knowledgeable team at Kitchen Tune-Up can be relied upon to provide quality bath and kitchen remodeling in the Austin, Texas area. 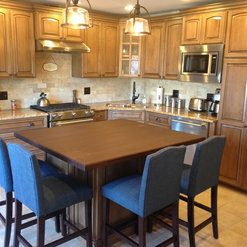 Whether your family is interested in rejuvenating an existing kitchen or bathroom with our 1 Day Wood Restoration Tune-Up, or creating a whole new look by redoing and refacing the existing cabinet faces and ends to match, or installing all new custom cabinets made to fit your kitchen design specifications perfectly, our staff can do it all. 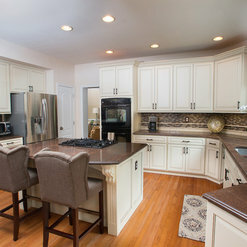 Whether it’s full refacing project, or a quick one day Tune-Up, contact the professionals at Kitchen Tune-Up of Austin, TX to make your dreams come true. Call today at (512) 956-3690. 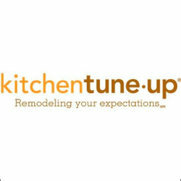 The kitchen tune-up crew is a very quick and efficient group of people. They came in and got the job done right the first time. I Would definitely recommend to anyone I know. The bid for work performed was very specific and was not deviated from. The extra work I requested beyond the initial bid was clearly communicated and executed properly.